Rock out, then roll it up! 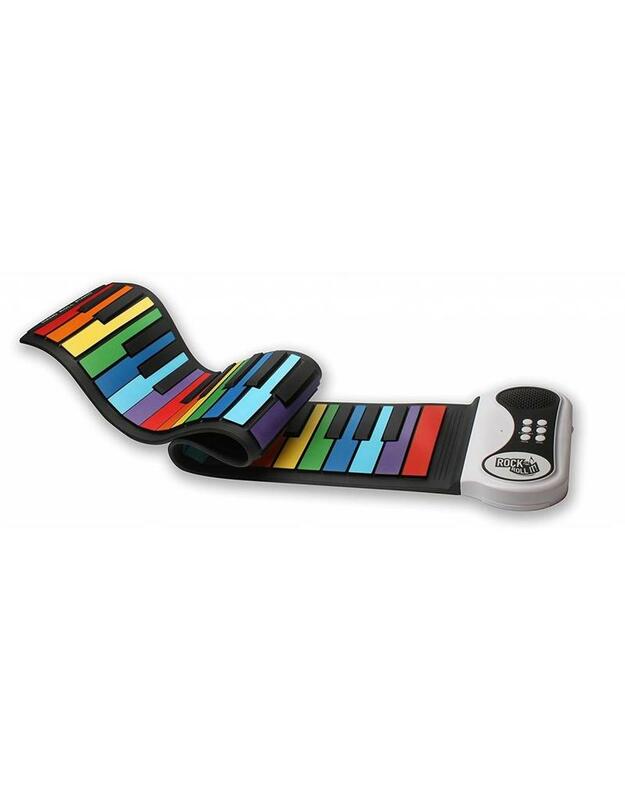 Rainbow colored, flexible, completely portable piano with 49 standard keys. Features : Play-By Color song booklet. Multiple Keyboard Tones. Multiple Demo Songs. Echo/Sustain Record & Playback. Built In Speaker w/auxiliary capabilities(headphones or external speaker) Powered by USB (cord included!) OR batteries. Completely portable - take it with you and play ANYWHERE! Power saving mode activates when not in use. Keyboard Size (open): 27.75"x5"x.25"